The MLB season is already under way for the Oakland Athletics and Seattle Mariners, who contested a two-game series in Tokyo last week. But for the other 28 teams the start of campaign is just a matter of days away. The Boston Red Sox will be out to defend the World Series, but challenging them will be a host of great teams, with this season sure to throw up plenty of tight division races that will come down to the wire. Here we look at five storylines to watch for this season. 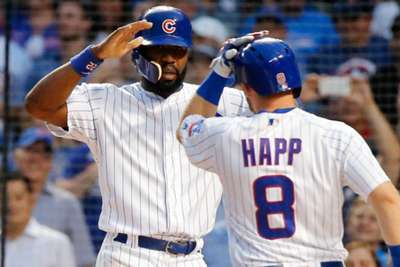 Last season the National League came down to the wire in both the Central and the West as the Chicago Cubs and Milwaukee Brewers and Los Angeles Dodgers and Colorado Rockies had to play in one-game playoffs for the division. That could very well happen again this year, with the East also looking tighter for 2019. While there are some bad teams in the NL, there are a lot of sides that have seriously improved. The Central features very strong Cubs and Brewers teams, and the St. Louis Cardinals added an MVP candidate in Paul Goldschmidt. The Cincinnati Reds are no longer pushovers due to trades netting Alex Wood, Yasiel Puig, Matt Kemp and Sonny Gray. In the West, the Los Angeles Dodgers are the two-time defending NL champs while the Rockies have one of the more underrated young rotations in all of baseball. And while the Arizona Diamondbacks lost their two best players in Goldschmidt and A.J. Pollock, they still have a solid top to their rotation and a more than competitive lineup. The East has four good teams at the top as well. Even after the addition of Bryce Harper, the Philadelphia Phillies will not have it all their own way. The New York Mets brought in Edwin Diaz and Robinson Cano, the Washington Nationals added Patrick Corbin and the Atlanta Braves still have a plethora of young talent. As long as the current service-time rules apply, MLB will always be robbed of good young players early in the season. Cubs fans missed out on Kris Bryant early in 2015, and Braves loyalists did not get to see Ronald Acuna Jr. immediately last season. That will happen again this year. Vladimir Guerrero Jr. and Eloy Jimenez have already been sent down to the minors by the Toronto Blue Jays and Chicago White Sox, respectively, and the San Diego Padres are expected to do the same with Fernando Tatis Jr. But just how good will these players be when they inevitably get called up? Guerrero is coming off a year in which he batted .402 at Double-A as a 19-year old. Jimenez hit .355 at Triple-A and, though Tatis was not quite as impressive, he still hit .286 as a 19-year-old in a full season at Double-A and has tons of potential. This could be the best rookie class MLB has seen since 2015 when Carlos Correa and Francisco Lindor came up in the American League. And that is without mentioning Forrest Whitley of the Houston Astros, Nick Senzel of the Reds and Victor Robles of the Nationals — with the latter likely to start on day one. One of the changes MLB has already instituted this year is the removal of the waiver trade deadline at the end of August. Teams can now only make trades before July 31. The deadline has been crazy over the last few years. How hectic will it be now that teams have just one chance to make moves? 4. More success for Rays, A's? If you claim the Tampa Bay Rays and Athletics did not surprise you last year you are either a fan of those teams or a liar. Both teams eclipsed 90 wins when neither was expected to win more than 80. The Rays' Blake Snell won the AL Cy Young Award and Bob Melvin was the manager of the year for the Athletics. It would make sense if Snell regressed after his superb 2018, while the Athletics' opening day starter Mike Fiers struggled in a loss to the Mariners in Tokyo. His position as their ace does not inspire confidence in the team's pitching depth. With trades having affected the rosters of two teams who are each in tough divisions, it will be interesting to see if either can sustain their success. MLB players cannot stop talking about the problem of non-competitive teams, and they are not wrong to draw attention to the amount of clubs likely to struggle. We are coming off the first season since the schedule was extended to 162 games in which eight or more teams lost at least 95 games. Three finished with 100 or more losses. The Baltimore Orioles, Blue Jays, Kansas City Royals, White Sox, Texas Rangers, Detroit Tigers and San Francisco Giants are all at risk of losing 95 games again. If the Royals and Orioles do not lose 100 it may be a surprise. Will teams try to get better this season even though there is incentive to lose to get better draft picks? It is not likely.